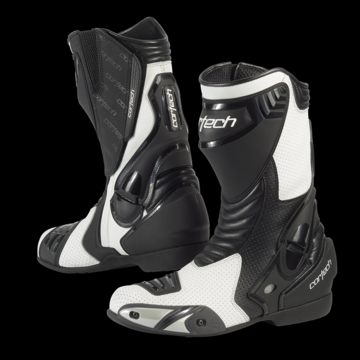 • Vented Mycro Tech™ upper. • VR two colored sole for reliable grip. • Autolock zipper covered with adjustable hook-and-loop fastener flap. • Pre-Formed orthopedic vibration-absorbing footbed.